Mary McCarthy of Bobbie Smith Elementary School has earned the Teacher Librarian of the Year Award from the Long Beach School Librarians Association. She was recognized at a recent Board of Education meeting, where Nina Jackson, president of the Long Beach School Librarian Association commended her for 21 years of exemplary service. McCarthy has created several library programs that bring together students, parents, staff, community organizations and businesses. She built support for a renovation of the library that now includes iPads, an eBook library and other technology. McCarthy’s school was named after former librarian and retired Long Beach Unified School District Board of Education President Bobbie Smith in 2014. 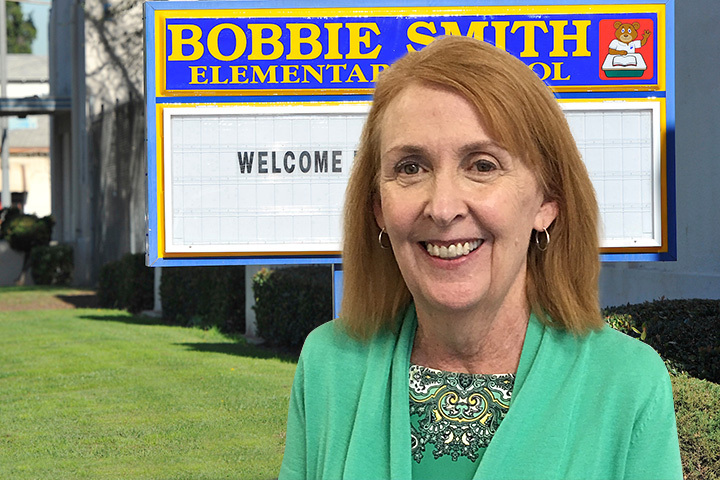 “You can’t imagine my glee that we’re called Bobbie Smith after a librarian, and that has made me so happy,” McCarthy said, “and I tell that story to the children on and on."